You don’t have to lose a lot of weight before you start seeing noticeable changes to your physical and mental state. Read and be inspired by Paul’s weight loss journey. 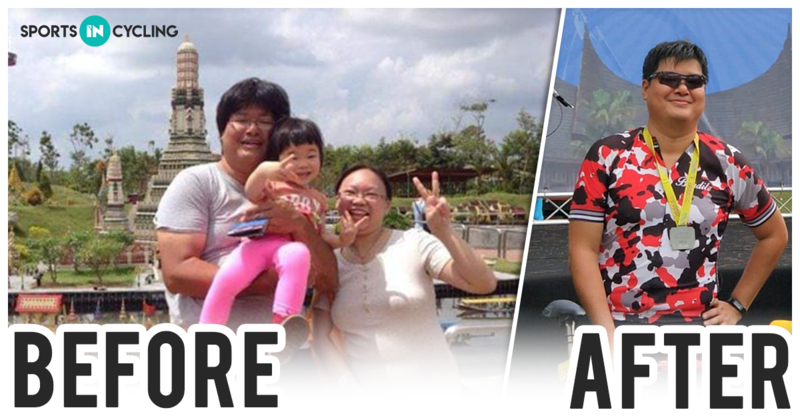 At 116kg, I was battling depression, diagnosed with hypertension and diabetes, and was stressed out. I had a slipped disc at L4 and L5 and was carrying a heavy load of body weight around. I have been cycling since I was three but stopped as I used work and parenting as an excuse. From there, my health spiralled downhill. 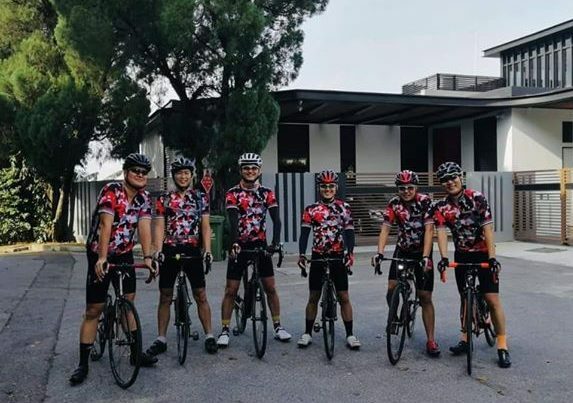 After a year and a half of cycling 150 to 200km consistently every week, I managed to put my disease under control and was able to cut down on the dosage of medication that I am taking. Ultimately, my goal is to reduce my medication to zero. Moreover, the pain from my slipped disc does not bother me anymore after losing the excess weight and strengthening my core muscles. The best part is, after trying for a kid in the last 3 to 4 years, my wife is now expecting baby #2 and is 6 months into pregnancy! When I started cycling, I did not fully understand the physiological changes and ate a lot post ride. Soon after, I started watching my diet. I have two main meals a day where I have a heavier breakfast of local delights like kaya toasts and bee hoon, and a cup of fruits for lunch. Dinner usually consists of soup or a light meal that my wife cooks at home; brown rice and some side dishes. Basically, I calorie counted. I kept meals at around 1300 to 1500 calories a day. I maintain a fairly balanced diet and no longer binge eat. I also started having earlier dinners and when I do work late, I will have some soups or sandwiches for dinner at the office area. This prevented me from being too hungry when I get home and end up overeating. A move to Singapore from Malaysia for work through a very good friend (co founder of Team Banditz) got me started. 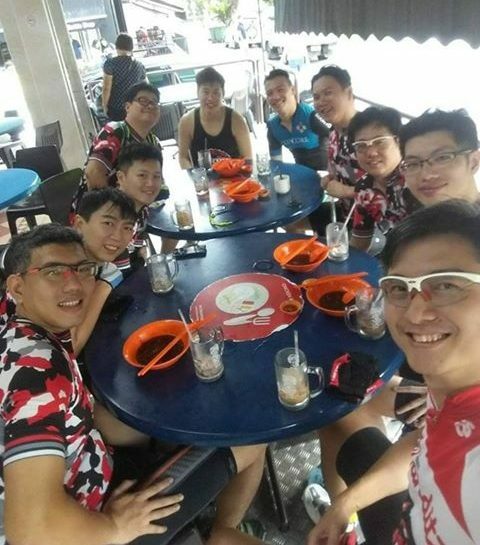 My first ride to Jalan Kayu from Yishun was full of cramps and the team was at every 2 to 3km mark ensuring that I did not get lost or left behind. I would complete a 50 to 60km ride in 4 hours. However, they were unrelenting and did not give up on me. I was motivated to not let my teammates down, so I started going for solo night rides and sought guidance from one my team members. I also learnt much more about friendship, camaraderie and always looking out for each other. I formed a small community of people that I can call friends. As my physical self became better, so has my mental state. Cycling has been a great outlet for me and I am able to manage my stress levels better now. Cycling trains your endurance, teaches you a lot about pain, which in itself is a valuable lesson about not giving up. Cycling gave me back what I was missing in life; a valuable lesson in perspectives. For instance, cycling has helped me to tackle work problems better and kept me positive throughout. Take that brave first step. Up your game and let it take its course. Enjoy the wind in your face as you enjoy the descent after a hard climb, the liberating feeling. When you enjoy the sport, losing weight becomes second nature. 3. Don’t ever give up, celebrate each milestone like you never did before. Buy new clothes, start trying more daring clothes and feel good about yourself. Nobody was born overweight (except for some genetic diseases) but for most of us, it was a matter of choice. 4. Hang around with healthier fit people. Do not be afraid to ask for help. Be brave to fall and climb back up again. 5. Share, share your achievements with others. Doesn’t matter if it is big or small, revel in the good things. When you inspire others you will feel inspired too. 6. Do not pressure yourself. Don’t set goals which puts you under too much pressure. Set goals of achieving better time, better mileage, better speed, better climbs, better records etc. Many people give up when they set weight goals instead of statistical achievements. For example, when you are doing average 25km/h on a 2-hour ride, push the mileage to 75km and do it in 3 hours. 7. Stay away from fad diets. Say no to magic drinks, cheat diet programmes, supplemental drinks, punishing diets. Exercise well, eat well and get back into the right path. 8. Don’t make excuses for yourself. There is no such thing as not enough time. Time is what you make of it. Want to have morning breakfast with family on a Sunday brunch? Can, wake up earlier and ride faster so that you get home before they are awake. Better still, ride together with your family. Once you fall for one excuse, the slippery slope happens and you just give up. We would love to hear from you too! How has cycling transformed your life? Fill in the form below and we will be in touch with you!